VueTel is one of the founders of Open Hub Med project, which will create in Palermo-Carini the first hub that will be neutral and open to Mediterranean area. 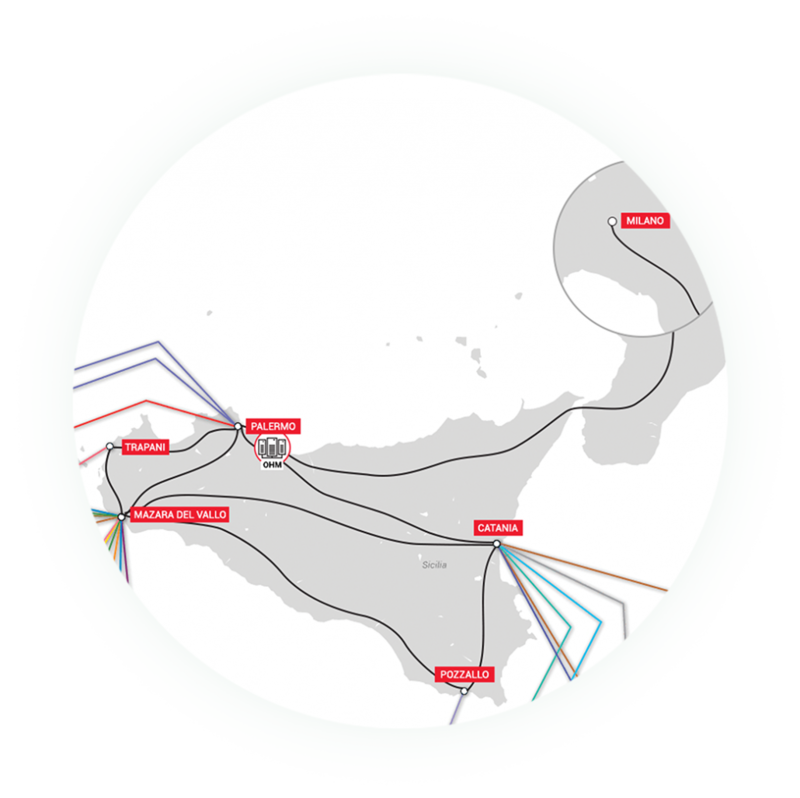 This represents a challenging initiative to return to Italy and Sicily the centrality in the international network of telecommunication. Mediterranean Sea represents the main node for telecommunication worldwide, a crossroads of infrastructures that connects Europe, Africa, Asia and North America. In this context, geography has granted to Italy, and specifically to Sicily, a privileged position, in the heart of this crucial area. However, until now these potentialities have not been fully exploited, both for the lack of suitable land infrastructures able to handle the traffic transmitted by undersea cables, and for the absence of free competition. The Open Hub Med project, that VueTel decided to launch together with other nine companies, wants to reverse this trend and to grant to Italy a pivotal role in the business area of TLC. 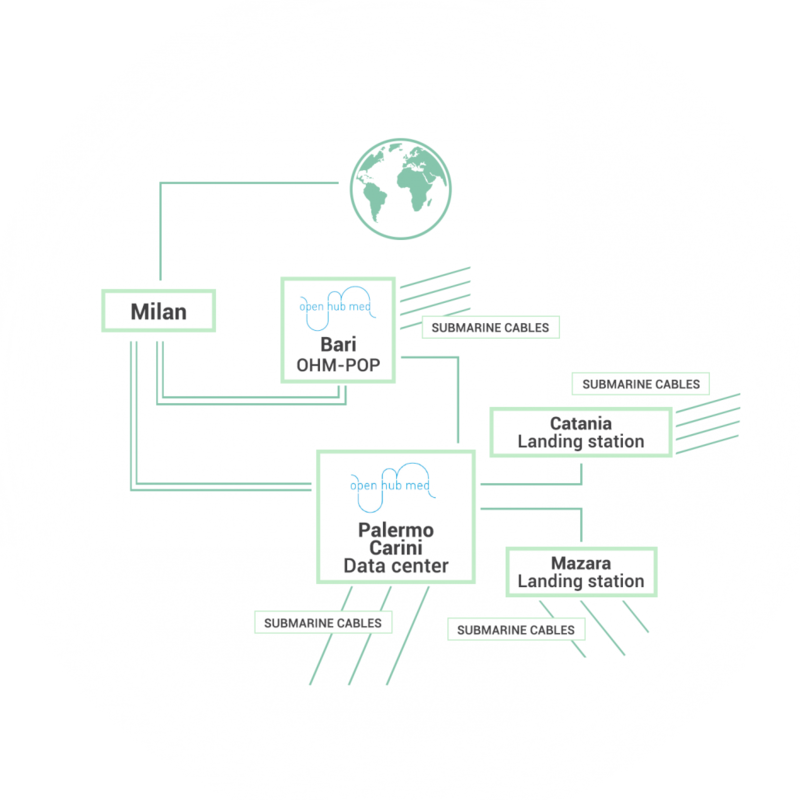 In order to do this, it aims to realize in Palermo-Carini a neutral and open technological platform that offers to international operators of telecommunications expanded routes and an improvement in quality and in competitiveness of services, in synergy with pre-existing structures: in particular, the hub of Marseilles. Open Hub Med offers all international telecommunication operators and OTT a multi-stakeholder model for the exchange of internet traffic in the heart of Mediterranean. An open and neutral technological platform, able to guarantee excellent reliability, capacity, safety and resilience, with lower lag time respect to other European hubs and to an extremely competitive price. 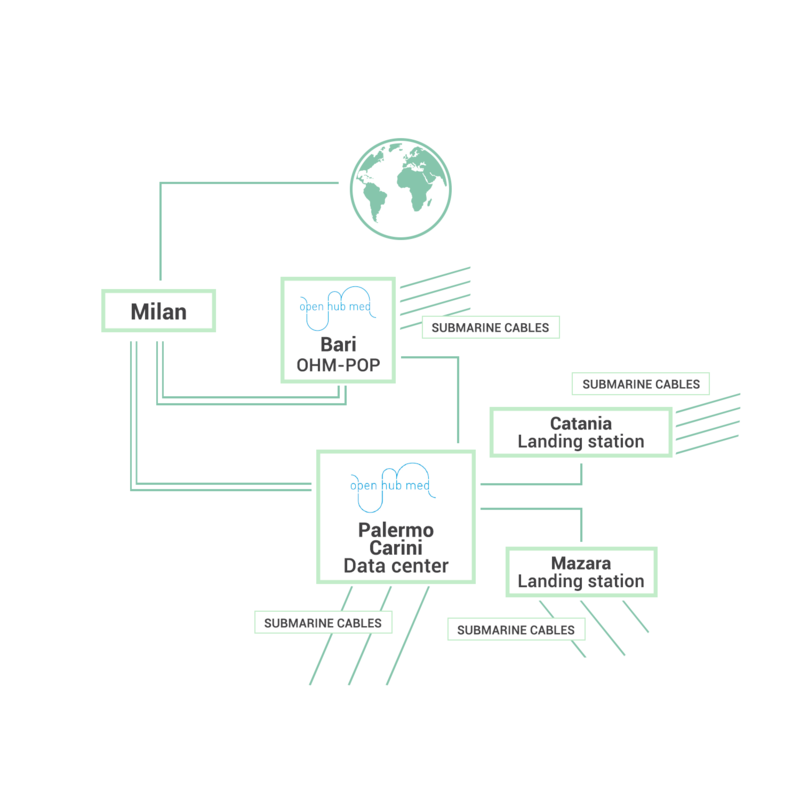 The structure, located within the research area of Italtel of Carini (Palermo), will handle traffic transmitted by 18 cables reaching the island, sorting out it toward north of Europe, thanks to agreements with other strategic terminals of Sicily and Bari.